Miaoyan Zhang’s A Corner of Heaven won the Grand Prix at the annual film festival that is held in honor of legendary director Andrei Tarkovsky. 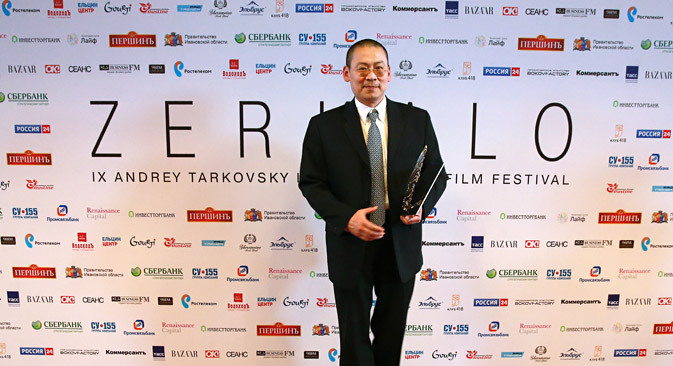 Tiantang jiaoluo (A Corner of Heaven), a Chinese film directed by Miaoyan Zhang, was awarded the Grand Prix at the Zerkalo international film festival. The film traces the journey of a 13-year old boy who travels across rural China to find his runaway mother. His travails include being forced into virtual slave labor in a brick-making kiln. The Zerkalo(mirror in Russian) festival is held in honour of legendary film director Andrei Tarkovsky. The Small Mirror prize in the documentaries section went to a Danish film, while the Big Mirror was awarded to a joint Russian-Israeli film called Beyond the Fear. The Best Director award went to Serbian filmmaker Vuk Rsumovic for the film Nicije dete (No One’s Child). The Grand Prix comes with a $30,000 cash prize, while the winner of the Best Director Award gets $15,000. The festival was held on June 9-14 in the towns of Ples and Ivanovo. Its president is Russian film director, Pavel Lungin. The jury for the main competition this year was chaired by Emmanuel Karrer, the author of a novel about Eduard Limonov, and comprised of Russian film director Alexander Sokurov, Icelandic film director Fridrik Thor Fridriksson, actor Maria Mironova, and poet Ilya Kutik. This year’s festival took place across six venues. Its main theme was ‘The return of the auteur.’ In addition to the main competition and the documentary section, the festival also featured films from the back catalogue of world-famous directors and a special program of war films, called ‘Evening Euphoria,’ to mark the 70th anniversary of the end of World War II.